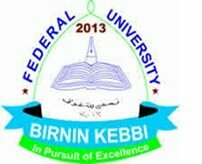 The Federal University Birnin Kebbi, FUBK Admission List (First and Second Batch) of candidates who are admitted into the institution for the 2018/2019 academic session is out online. We are using this medium to inform all the aspirants candidates who chose Federal University Birnin Kebbi as their choice Institution in the 2018 UTME and participated in the FUBK Post UTME Screening Exercise that the school management has released the 1st and 2nd batch of admission list for 2018/2019 session. Note: Admitted candidates should visit JAMB Central Admission Processing System (CAPS) Portal to “Accept” or “Reject” their admission offer. All successfully admitted candidates are hereby inform that confirmation of admission and registration starts on Monday, October 15th, 2018 at the University Main Campus, along Kalgo-Bunza Road, Birnin-Kebbi. The prospective students are to come along with their originals Credentials including JAMB Result Slip, JAMB Admission Letter and six (6) Passport-size photographs and Local Government Indigenization Letter. Nigeriaschool wishes you all the best.